Suncoast Christian Health Centre is located in Buderim on the Sunshine Coast, where health services are provided for the whole family. Everyday Medical Care. Family Medicine • Woman's Health • Aged Care • Home Visits • Nursing Home Care • Private Hospital Admissions • Personal Care • Skin Surveillance via Mole Scanning Photography • Aviation Medicals • Diving & Hyberbaric Medicine • Sports Medicine • Occupational Medicine • Occupational Medicinal Examinations • Insurance Reports & Assessments. 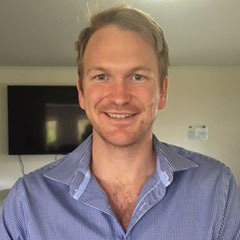 Dr Rob Scott grew up in Toowoomba and graduated medicine at the University of Queensland in 2012. Initially working in hospital medicine as a basic trainee in internal medicine, the arrival of his two young children prompted a change. Rob’s training in GP has involved working in after-hours and day-time settings. In 2018 he completed a Diploma of Child Health through Westmead Children’s Hospital. He has special interests in mental health, respiratory medicine and paediatrics. Rob and his family are now Buderim locals and plan to stay here for many years to come. Dr Chris Iredia moved to Australia in 2009 where he did some training in emergency medicine in Rockhampton Queensland before moving to Kalgoorlie, Western Australia to complete his training in general practice. It was while there he also developed interest in aged care medicine, comprehensive chronic disease management, urgent care and skin cancer diagnosis with dermoscopy and surgical treatment. He moved to Sunshine Coast in 2017 and has continued to provide care in comprehensive chronic disease management especially cardiovascular and diabetes , aged care, pre-employment medicals and workcover medicals, emergency medical care and skin cancer diagnosis and treatment. While not at work, he enjoys spending time with his family and playing soccer. Dr. Amanda is a fellow of the RACGP. In addition to her Bachelor of Medicine and Bachelor of Surgery, she also holds a Bachelor of Clinical Science and a Masters of Health Science (Osteopathy) and worked as an Osteopath prior to qualifying as a medical practitioner. Amanda is a Queenslander by birth, having spent her early years on the Gold Coast. She worked in several roles including; private practice, tertiary hospitals and as visiting doctor for disadvantaged children and adolescence in youth detention. In addition, Amanda has also spent some time as a solo GP in remote Arnhem Land. Amanda is passionate about health and engaging people in their health journey, and takes a wholistic approach to medicine. 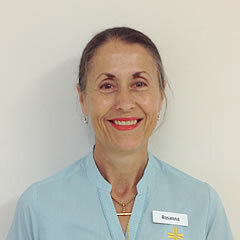 Given her past training, Amanda sees many sports injuries, back pain patients, paediatric and antenatal patients as well as providing counselling and mental health care. Dr James Connell grew up on a farm in rural NSW and graduated from Medicine at University of NSW. 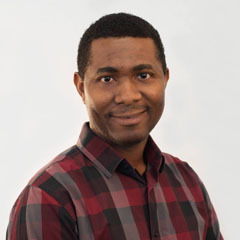 He has always been interested in pursuing general practice as he likes the varied nature of the work, freedom to pursue multiple interests and the connection it brings with patients and their families. 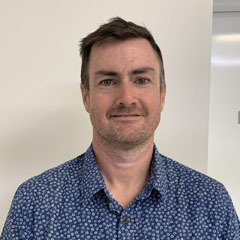 He is interested in all aspects of general practice but has special interests including mental health, skin medicine, sports medicine, chronic disease management, mens health, pain management and palliative care. James has recently moved to the Sunshine Coast with his wife as they believe this is a great place to raise a family. James looks forward to becoming a long term part of the Sunshine Coast Community. Dr Sarah Kirkham has recently arrived from the UK with her husband who was born and bred on the Coast. After qualifying in 1995 from a London medical school and working in Hospitals in Rural QLD, she went into general practice and most recently has been a GP partner in the UK for the last 10 years. As well as an Aussie husband, Sarah arrived with 3 young boys!! 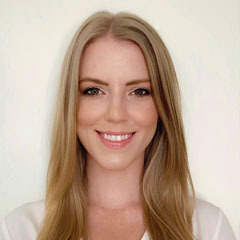 Sarah loves working in General Practice with particular interests in mental health, child health and women’s health (especially antenatal and postnatal care) She is looking forward to becoming part of the community on the Sunshine Coast and getting to know her patients at the practice. Sarah and family have already met some great people and are really enjoying the sunshine and the laid back Aussie lifestyle! 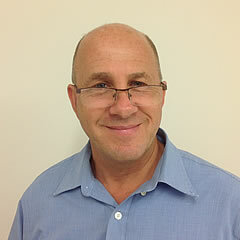 Embracing a holistic approach, Dr Gipps (but you can call him Dr Steve) draws on 35 years of experience in general practice, urgent care, internal medicine and occupational medicine including 10 years in the USA. From initial student days, exposure to biofeedback, Shiatsu massage acupuncture and many other natural therapies helps in sorting out what non-conventionally prescribed therapies may be of benefit. Minimizing prescription medication is always a goal – yet clear recommendations on what is best not omitted, is given. Musculoskeletal, sports/ work injuries, mental well being and pain management are some special interests. Life choices, diet, exercise and relationship health are high priority topics for discussion. Connectivity with our creator and lover/ healer is acknowledged as the pinnacle source for wisdom and well being. Application for medical cannabis prescription in the management of various medical conditions if appropriate is available and supported. When not at the office you still might find him in his boardies at one of the Noosa point breaks....if there's waves. Musculoskeletal , sports/ work injuries, mental well being and pain management are some special interests. Life choices, diet, exercise and relationship health are high priority topics for discussion. Connectivity with our creator and lover/ healer is acknowledged as the pinnacle source for wisdom and well being. 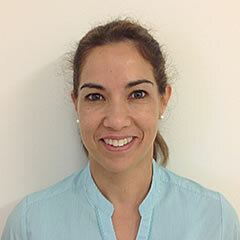 Karen graduated from the University of Queensland in 1997 and completed general practice training in 2002. She has been involved in educating and examining new GPs. 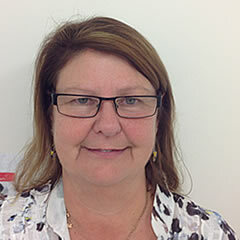 Karen enjoys the variety of general practice and has special interests in children and womens’ health, as well as geriatrics. Paul graduated from the University of Queensland in 1995. 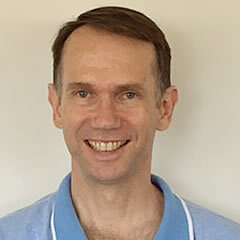 He worked over many years in hospitals in Brisbane, Sydney, Tamworth, Burnie, Gosford, and Nambour, completing terms in accident and emergency, paediatrics, intensive care, haematology, orthopaedics, orthogeriatrics, colorectal surgery, psychiatry, stroke, rehabilitation, endocrinology, general medicine, and general surgery, also working in Occupational Medicine and Executive Health in the Sydney. He has attained fellowship of the Royal Australian College of General Practitioners. In addition to caring for the body, Paul is attentive to the needs of the soul. He and his lovely wife, are both keen followers of God and His Word, having both completed theological degrees at Moore Theological College in Sydney. Together they served with the Church Missionary Society in the interior of China for six years, with Paul working as a doctor, and together training locals, supporting the rapidly growing church. They are still involved with summer camps and publishing. Paul is also a board member of SparkLit. They are now based on the Sunshine Coast, and have five vibrant young children. Growing up in the South Burnett, Anne initially studied nursing, graduating as a Registered Nurse. She then returned to study graduating from the University of Queensland with degrees in medicine and surgery in 1986. Anne spent 2 years working for Queensland Health, including placements into the rural communities with the flying doctor, as a psychiatry registrar. After placement in a general practice in Brisbane she found her calling to community focused family medicine. Anne also spent 19 years working in Sydney as a principal of a busy 5 doctor general practice in suburban Sydney allowing her to become heavily involved within the community where her family was established. Anne is passionate about general practice with its multiple facets and areas and is committed to excellent patient care both at initial presentation, follow-up and on-going care. Her areas of special interest are mental health, women’s health and paediatrics but enjoys all areas of general practice. 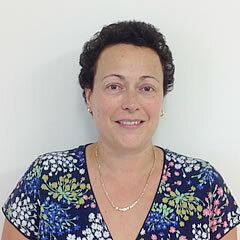 Anne is committed to lifelong learning and relishes teaching and mentoring the next generation of GPs. Lindley has worked in General Practice for over 14 years. She joined the team at Suncoast Christian Health Centre in 2011. Chronic Disease Management and wound care are amongst her areas of interest. She enjoys the variety of work in General Practice and the opportunity to make a positive difference in the lives of other people. Lindley is supported by a wonderful team of doctors, nurses and reception staff. I am part of the furniture here….. what you see is what you get!!! I have been working in the practice since November 2009 and in that time have grown into the role of Office Manager. My experiences has grown as the practice has grown, and I have been on a journey which has provided many wonderful memories for me in my working life. I am completing a Cert III in Health Administration and am amazed at what I have learnt. Joining the practice has brought me closer to my Creator and has helped me understand my role and how important it is that i trust in His guiding hand. I enjoy the interaction with all the patients and staff and find my career to be extremely rewarding. 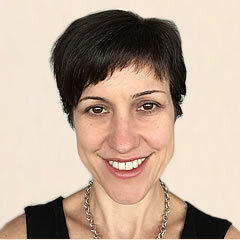 Laura Scherman is a warm and easy-going Clinical Psychologist with a passion to help her clients. 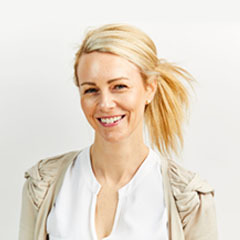 Laura has worked for several years in private practice settings and at the University of Sydney's Gambling Treatment Clinic. She has experience working with a wide variety of clinical presentations such as trauma, anxiety disorders, depression, stress, adjustment difficulties, low self-esteem, anger management issues, grief and loss, workplace issues and sleep difficulties. In addition to clinical work, she has given presentations to large numbers of high school students to help equip them with the skills to transition well into high school or thrive through senior years. She has also helped write and develop a number of psychological programs and has coordinated the professional development and training events.